Aetna's stock has surged after a news report said CVS Health is in talks to buy the insurer a deal that could be worth more than $60 billion. The Wall Street Journal reported on the deal talks Thursday. 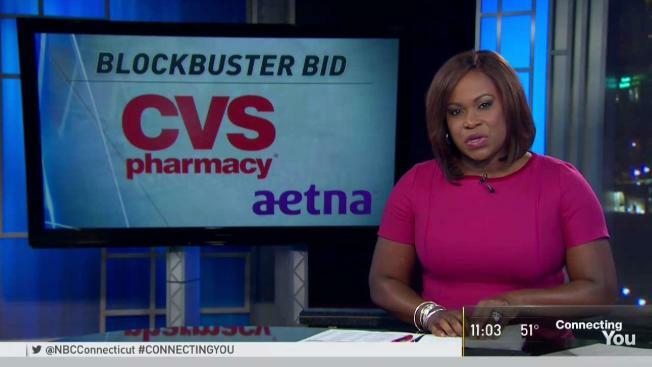 The newspaper cited people familiar with the matter and said CVS might pay more than $200 a share for the nation's third-largest health insurer. Spokesmen for both companies declined to comment on the report. Aetna's stock jumped $18.48, or 11 percent, to close Thursday at $180.48. CVS Health is the nation's second-largest drugstore chain and also processes more than a billion prescriptions annually as a pharmacy benefits manager. Aetna insures more than 22 million people. CVS Health Corp. is based in Woonsocket, Rhode Island. Aetna Inc. is based in Hartford, Connecticut.